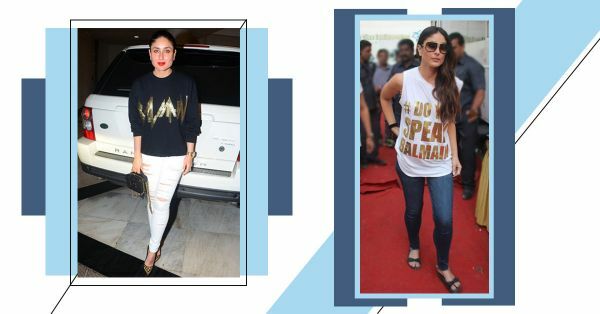 The One Brand Kareena Kapoor Khan Loves To Wear On Repeat! Every day, we spend a good chunk of time scrolling through Instagram. We pick up tips on how to click a perfect flatlay, scout on which brand is Gigi Hadid collaborating with and curse ourselves for missing Coachella. At some point, we are bound to compare ourselves to celebrities. But let me tell you, my friends, we are not all that different. Much like us, celebrities rely on kurta and palazzos for comfort dressing, enjoy cheat days and often repeat outfits. And it seems Kareena Kapoor Khan has a specific brand she likes to binge on. Kareena wore the same sweater sometime last year. It's assumed of celebrities to not repeat outfits given the infinite number of designer clothes and accessories they own, but they do that more often than you think. And not just this particular sweater, there's another t-shirt that the actress has recently worn again. 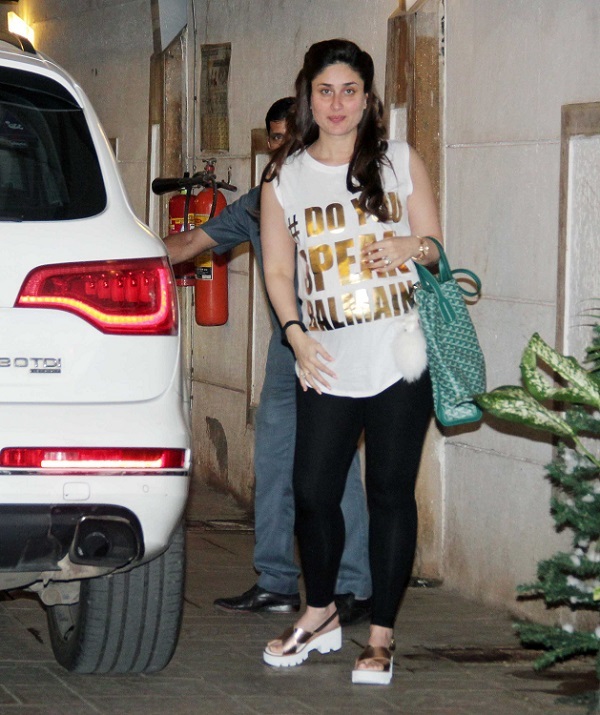 She made an appearance in this printed white tank top (Rs 14,000) to an event with the classic blue jeans... the same outfit she wore back in 2016 when she was pregnant with Taimur. Do you know what's the one thing common in both the outfits? The French luxury brand Balmain! Kareena is rarely seen in public repeating outfits but when she is, it's mostly in something Balmain. The brand runs on a higher price note (no surprises there!). 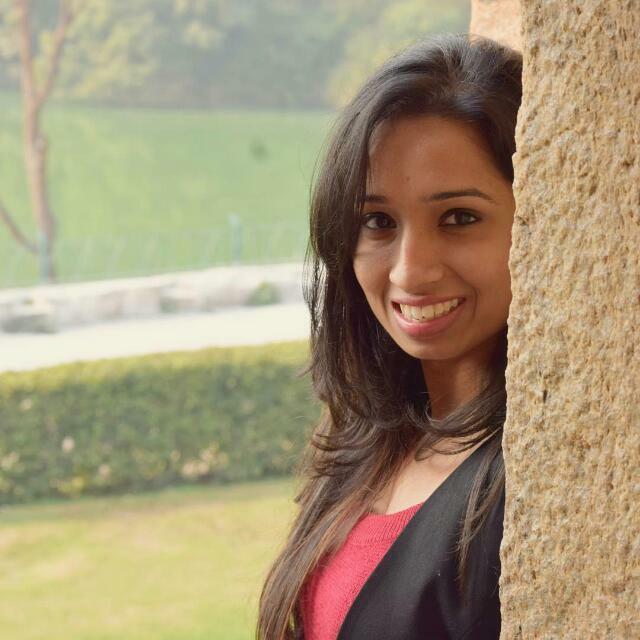 Looks like other than the Birkin bag, we know what gets the Begum going. Kareena speaks Balmain. Do you?